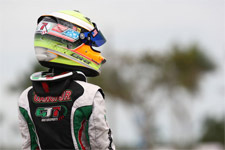 Starting his 2013 FWT campaign at the Palm Beach International Raceway (PBIR) in mid-January, Gangi Jr. was nearly perfect against a huge field of 40+ international competitors. 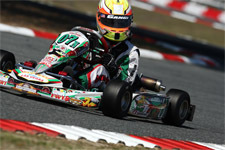 Clocking fifth quick for qualifying for race one on Saturday, the 11-year-old phenom would then rise to the top in wheel-to-wheel action as he scored both heat races and then cruised to a seven second victory in the final. 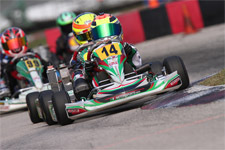 The Sunday event would then see Gangi Jr. rise to the top in the qualifying session, earning the coveted pole position for the two heats. Taking the first heat win, Gangi Jr. would miss out on the day's sweep as he came up 0.012 seconds shy of the second heat victory. 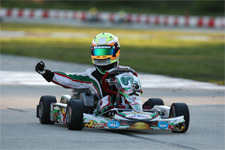 With his heat points putting him on pole for the day's final, the GT7/Tony Kart pilot then went on to take his second main event victory to start his FWT TaG Cadet efforts off right. 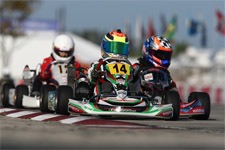 Gangi Jr. now enters the Homestead rounds the overall leader in the Vortex TaG Cadet championship point standings. 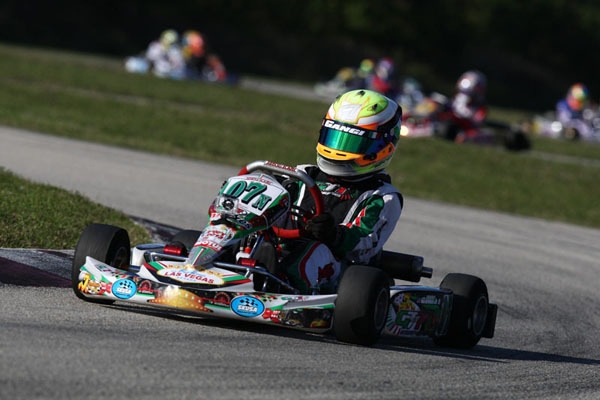 Coming off another victory in the Rotax weekend at PBIR as well, the young gun will look to carry his momentum into the second round and fight to maintain his place at the top of the points. 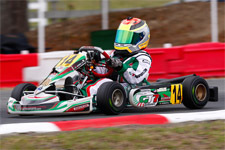 Heading to the South Florida facility this week, Gangi Jr. will take in unofficial practice the the Homestead Karting Complex with his GT7 Motorsports crew before hitting the track Saturday, February 16 and Sunday, February 17 for two full days of racing action. Live video, timing and scoring, as well as audience interaction is available for each Florida Winter Tour weekend via the FWT Live! Broadcast page: http://floridawintertour.com/fwtlive/2013.